Receive a warm welcome from our friendly staff at our Dayton hotel and feel at home from the moment you arrive at the Courtyard Dayton University of Dayton hotel. 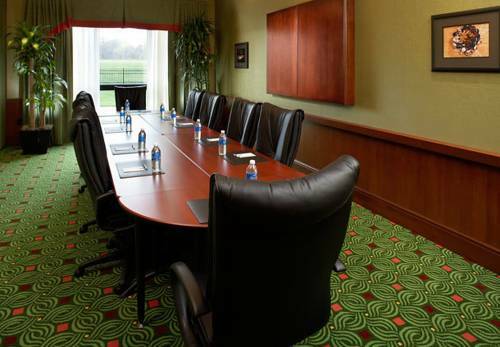 This stylish hotel near the University of Dayton Arena offers all of the comfort you expect from a Marriott hotel. Our well-appointed guest rooms and suites offer luxury bedding, mini-refrigerators and Free Wireless Internet. The Bistro is your food and beverage destination for great breakfast choices in the morning and cocktails and dinner options during the evening. Keep fit in our Fitness Center, unwind in the indoor pool or just enjoy a cocktail in our Fireside Lounge. This Dayton hotel near University of Dayton is close to many area businesses such as GE and Taylor Communications. Our Courtyard is minutes from downtown Dayton, Dayton Convention Center, Dayton Art Institute, Schuster Performing Arts Center and Wright Patterson Air Force Base and Museum. Enjoy your stay at the Courtyard Dayton - University of Dayton! The Bistro - Eat. Drink. Connect. : Your food and beverage destination for refreshing breakfast choices in the morning. The Bistro also offers specialty beverages made with Starbucks coffee to help you get a jump on the day. Open daily for Breakfast and Dinner.